Servando: Since the last time I interviewed Zach who was making $8,000 per month with Amazon Affiliate Sites (now more than 5 figures per month) the topic got a lot of popularity around my blog. When I was contacted by Dennis who’s making 4 figures per month and he has managed a few PBNs and backlinks for other people around the niche I just couldn’t refuse to accept his guest post 🙂 I bet this will help a lot of people who’s got questions from the last interview I did a few months ago. Hey everyone, let me quickly introduce myself, my name is Dennis from Passive Solutions, I’ve been into SEO for almost 4 years now, initially ranked a few sites myself with pure spam (which worked great for a while), and eventually turned into PBN’s and sold over $500000,- worth of link packages at the Warrior Forum! As SEO got a bad name I moved into ranking my own sites again, Amazon affiliate sites that is, as it became harder and harder to gain clients it was simply not worth the effort nor money for advertising to attract new customers so that’s how this new business was born. My first 10 Amazon affiliate sites sucked big time, I outsourced it to a $2,50/500 words writer and well the content shows lol. I didn’t apply any keyword research either, it was just a quick hasty job to get some sites live and ranking. That’s mistake number one and two, poor content and little to no niche research. However, these sites did make enough money to turn a profit, some are still ranking and still making money, to date about $8000. 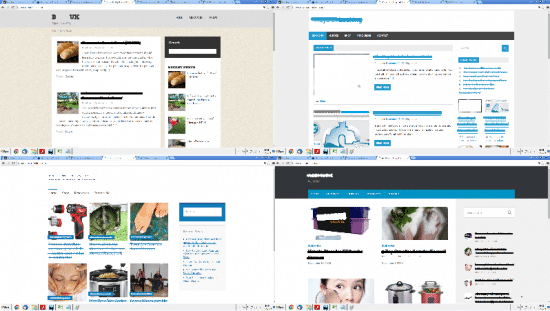 Then came the 2nd batch of 10 sites, which I outsourced completely at $200/site if I remember correctly. These were a little better but it was clear the builder of those sites knew little about SEO, it took quite a bit of effort to clear things up. That’s mistake number three, don’t outsource your site building to random people unless you know they know what they’re doing. Those sites made a combined $30,000 till date. Right now I launched a 3rd batch of 10 sites, I used 4 star level writers from TextBroker so the content is on average a lot better, however there are quite a few poor writers, which you pay $2,40/100 words for so be careful, paying more doesn’t always mean better content. These sites are build very recently and haven’t made any significant money yet. My oldest sites are approximately two and a half years old, and have gone through several Panda and Penguin updates and some suffered dramatically. Part of the learning curve I’d say. I could add that poor link building was mistake nr.4 however it was not so much poor link building, more so poor anchor diversity, more about how to diversify your anchors properly here. Why I only make 4 figures a month right now! The short answer is, taking too much hay on my fork, as you just read I launched sites in batches of 10, this comes from my background as a link seller where I dealt with dozens and at some time hundreds of clients at the same time. I know that many who are reading this would love to make four figures a month, as it can be a decent income of course but personally for myself it has been a huge failure. Simply because I could’ve made a TON more money had I taken a more organized approach and one site at a time. This realization came when my largest client told me how much he earned, while he used to fully depend on my link services. In October last year he told me he earns $50,000 per month!!! In December my sales nearly tripled, his as well, meaning he just broke 6 figures in a single month! Content. He goes through great lengths to find proper writers, not just any writer that writes decent English, no he tries to find writers that put some real personality in the content they write and he sticks to max 1 writer for 1 site. He pays them generously (though no professional rates like $150/article btw), more like $3/100 words. The visitors of his site love it, and the bounce rate shows it. Site Design. Building sites was a hobby for him and with his experience as a programmer for a large firm he applies certain professionalism to all he does, and it shows. All of his sites look great and broadcast a certain trust, in combination with the enjoyable content and the honest reviews (not just listing the positives) people really trust the site which helps a lot in terms of conversions as well. For the record, he has about 30 sites, I have about 30 sites. My sites made $6,250 last December, and are on its way to make $3500 this month. His sites made well over $100k in December and probably about half this month so it’s not about the amount of sites. Did I mention keyword research? No! When you apply these rules you’ll have a tough time to come up with more than let’s say 50 complete different niches so there is simply no room for competition analysis besides avoiding niches like electronics. What if I don’t have plenty of resources? In that case it’s wise to apply competition research of course, you likely won’t end up with a site that will make $3000-5000/month like that client of mine does on average per site but once you start to make money there’s always room to grow, just don’t register a domain like bestcarseatsfortoddlers.com, try to keep it a bit broader! A great keyword research tool that I ran into very recently is Term Explorer. Most likely never heard of it as it isn’t marketed that well and it doesn’t come with an affiliate program so many refuse to promote it, I personally refuse to promote poor tools, even if it would make me a million dollars! Perhaps the author of this site can write a detailed review about Term Explorer some day as they truly deserve it or you can have a look at the review I wrote myself. Believe me when I say it’s a true gold digger! I can’t say it often enough; backlinks are still the no. 1 ranking factor when it concerns Google. So let’s talk a little about backlinks, and the types of links you need. In an ideal world you would want links from sites that are relevant to your niche or related in some way but we don’t live in an ideal world. It’s absurd difficult to gain true white hat links, I’m not talking about blog comments or forum posts here. I’m talking about editorial contextual links at authority sites. I am not saying it’s impossible but you would have to put a TON of effort into your sites to make them link worthy, don’t underestimate that. If you want to take the white hat approach you must aim to be an authority yourself, without that you won’t have much of a chance. My aim is not to build authority sites, let that be clear, my aim is to make sites that make money! Right now there are a lot of sites that offer guest posts for sale, ranging from $60 to $200 per post. That’s not only quite expensive but most SEO companies offering those aren’t even offering legit guest posts. Just pick some and ask for samples and run them through SEMrush. You will see that these sites advertised as legit sites receive ZERO traffic. In other words, it’s a scam!!! They are just PBN sites with a nice design around them to make it look legit. Well if I had to spend $60-200 on a guest post I do expect a certain amount of visibility and traffic, not to end up on a dead beat site! My point, white hat can’t be bought, or in other words it’s tremendously hard to scale. That’s why I stick to private blog network links, they are easy to scale, they are more affordable and they work! How to identify a solid PBN link? Most have been brainwashed either by Google or by Spencer from Niche Pursuits that PBN links don’t live a long life. What Spencer didn’t mention is all the mistakes he and Hayden made when setting up the network, nor the huge publicity they gave to it as his site is quite popular! Hosting – Most use SEO hosts, reseller hosts or cheap $1/month hosts, all hosts that are widely abused by thousands of SEO’s and Internet Marketers. No wonder Google picks some of them periodically and takes them down. Big NO. Domains – The majority of sellers use long time dropped domains, e.g. the Hayden method, which is a big fail. I tested this again, recent dropped domains hardly ever got deindexed by Google, however domains that were deleted for years in a row dropped like fleas. Not to mention that those oldies were much weaker in terms of link strength. Solid domains aren’t available for $10 registration fee. 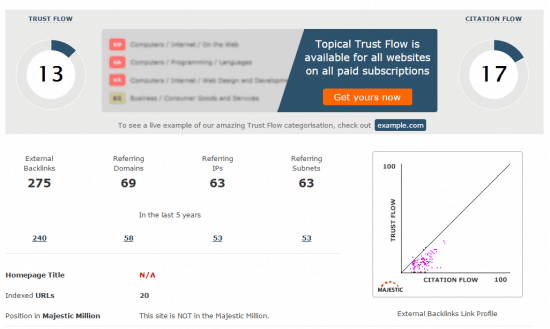 What you also have to watch out for are people advertising their network based on metrics like PA (Moz’s Page Authority) or TF (Majestic’s Trust Flow). Most people who advertise it based on DA/PA spam their domains to artificially inflate those metrics, you don’t want your link on such domain. Others who often base the strength on TF use the TF of the actual URL, e.g. http://www.site.com/ instead of entering the root domain site.com. Which means that a domain with a TF of 12 (which is reasonable) often have a root domain TF of only 5 (which is completely unacceptable). Most sellers in the current marketplace apply one or more of these tricks to make their network look stronger so be warned, it’s a dubious place out there. In fact, it’s pretty hard to find a reliable seller of PBN links so it’s best to set up your own. I tried to find one myself, with the knowledge I have, but the majority of sellers simply lied about most and eventually I had to ask them to remove the links. I couldn’t even find one seller who did a proper job. No wonder most people fail to make money online. Only use unique written content, I wouldn’t recommend iWriter though however HireWriters is a fairly decent alternative as they have a stricter policy when it concerns writers. Haven’t spot a million Indians there, no offense! Backorder domains, here you can get decent domains at $69/piece, there are also auctions but prices can really get out of hand there so try to stick to backordering through SnapNames or NameJet. Never spam your domains with GSA or anything, it’s just not worth it to turn a good domain into a spammy one. That sums it up pretty much! Personally I’m taking it one step further lately by only using native UK/US writers for my PBN’s, it was a hell to find them as all the semi-decent places like HireWriters and TextBrokers still have an awful lot of poor writers in their arsenal. What I did instead was start a paid Facebook campaign to recruit writers and that was really worth the effort. Quality really matters guys, not just for your money site but for your backlinks as well, sure it isn’t getting any cheaper this way but believe me when I say it’s possible to build a sustainable online income while still using grey hat methods, e.g. PBN links. It’s really up to you how much effort you put into your network. Heck I even have PBN sites that are ranking at page two for keywords with 1600 searches/month, I could never even have dreamed of that in the past. All the side effect of decent content. 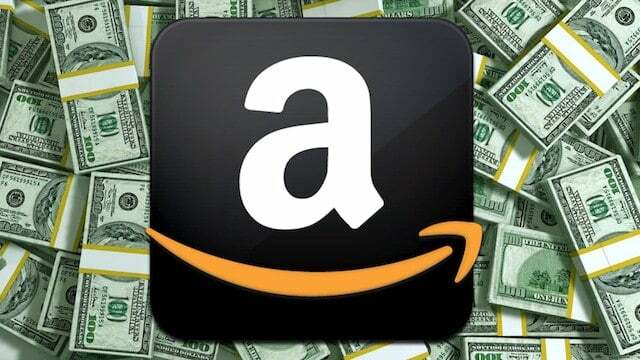 You don’t have to go full white hat to build a sustainable income and pull in 5 or even 6 figures a month from your Amazon affiliate sites. Just change your mind set and focus on quality. I only started to understand that concept very recently lol. Right now I own 35 Amazon affiliate sites, yep there was a 4th batch and some sites of the 1st batch have been removed. All my sites are ranking between page one and page three right now and I scheduled a few dozen extra links for each of them so before the summer comes I expect to increase my current income from $3,500/month to $15k/month, simply cause so many sites are at page two and three right now. Had I build one site at a time and focused on quality right from the start I would’ve made 5 figures much earlier. Thanks a lot for a great post, I recently started an Amazon product review site. my articles get ranking on 1 to 3 page, my kw are commercial but conversion is low, what I should do to increase conversion.? What’s your average conversion rate? Should i link to multiple money site from 1 PBN site ? No. if you want to keep it safe you shouldn’t but if you want to do so and the sites are in the same niche maybe link to 2-3 maximum and not all of them. Also, don’t interlink your PBNs. How about do off page SEO for PBN site ? I do the same off page SEO for PBNs as I do with money sites. I started an affiliate site which I put all my efforts and money (I’m not yet a rich guy though). I just need to know what is the average amount of backlinks you need to rank your medium competition niche site? I saw the image you used has 3000 backlinks. But my site which is 6 months old and no where in the search result have about 50 backlinks (mostly from web 2.0) Just give me an intelligent guess of normally how many backlinks will I need my site to earn some actual money. It depends on the quality of backlinks and how strong your competition is. 10 high quality backlinks are going to do much better than 300 super low quality backlinks, so you need to consider it in the equation. Content is King! Providing your visitors with great content is a great way to get them to “buy” what you are selling, since they will just feel that they’re paying back the favor! For that reason, I think is very important to find writers that are not only talented, but well informed about each site’s niche. Also, I think that being upfront about the affiliate character of the site is also useful and important. If people donate money to people for YouTube videos, why wouldn’t they support someone’s great blog content by buying something that they need through his site? They get the predict they need and the blogger makes a few bucks: everyone’s a winner! i am trying to put up sites and become a professional blogger. i am kind of curious, is there any article where you have described what is a backlink and how do you actually create them or incorporate them in an article and put it to work? That kind of knowledge will actually be very helpful for beginners like me. I’m kind of in the same spot. Also doing 4 figures ($4.5k to be exact). I started this SEO project of mine 2 years ago. I’m glad I took action back then, or I wouldn’t enjoy any passive income at all right now. But on the other hand, had I taken way more action… I’d be in the 5 figures by now. But it’s never too late. The grass is always greener somewhere else. And nobody ever does anything optimally. You can’t move into the future when you’ve got your back turned on it. So let’s just keep moving forward and hit that $10k! Thanks for sharing your experience with Amazon Affiliation, Servando! Really enjoyed the breakdown and the segmentation of your article. We actually just launched an article today on Amazon Affiliation covering 30 (+1) tips to boost revenue generation for Amazon Affiliates that I think you would appreciate! The examples you’ve shown (your own & your client’s) show how links are still important to ranking web pages. Learnt a lot about how you do your best to set up your PBN properly for maximum returns. Must take a lot of effort and funds on your part Dennis. Great article. I love reading your posts! You mentioned that the guy you work with usually buys about ~40 links from you. What are your rates for that? Also, are the links you give juice from all in a related / relevant niche? Hello Colin, since this is a guest post I’ll let the author chime in and answer you about the prices if he still sells them. Whoops, better late than never I guess. I am launching a new content platform where the content can be published on my PBN for an additional fee of $6/post. The site will launch next month so I will update when it’s live! Great article Servando. By the way, in an article which I read yesterday, I noticed that there is an increased use of PBNs as of late. On the other hand, some experts claim that Google will finally put an end to these networks. What is your opinion on this? What is the future of PBN’s? Any SEO who’s working right now ranking big sites and earning money knows PBNs are working solid now and have been working for years. Google cleans them sometimes, but that depends on how careful you are the moment you set them up. There’s always a risk, but they can’t just put an end to PBNs because otherwise they would have to put an end to backlinks from all the sites and not just PBNs. Personally I feel Google is out of ideas to combat spam / artificial links. After they managed to detect web directory links, blog comments, forum profiles, bookmark posts as spam the natural next step would be contextual links but that’s obviously a complete different beast that can’t be tackled without it affecting tons of natural contextual links. What they might go for instead is the quality of the linking posts, that’s why I mostly work with native English writers these days and I put some extra visual work in the network sites to make them less obvious as manual reviews are a real threat of course. Still, a manual reviewer just receives a site they have to review, afaik they aren’t required to dig deeper to find sites that might be from the same owner / part of a larger network so sure we all loose a site here or there sometimes but it’s insignificant when looking at the network as a whole. Especially if you’re a small guy with a small network the risk is minimum as the past shows that Google only go’s after the big networks. Thanks for the article. Does it make sense to build the backlinks step by step for example every week one link or to build as fast as possible? Does it have an different outcome on rankposition? if you’re talking about real interesting backlinks, it doesn’t matter. However, if you’re going SPAM and get 1,000 backlinks in 1 day Google will notice it as it’s not humanly possible most of the times. Hard to say really, personally I build links in batches most of the time, somewhere between 5-15 links at a time and then nothing for a week or two. If you do to much at the same time you may trigger some waiting period where your rankings won’t budge for 6-8 weeks but after that it should pick up pace again. I once read an article that when you build a link that Google only gives you an x% of juice from the link after a certain amount of time, the more time you give it, the more juice you’ll get from the link till you reach the max I guess, I do believe it works that way as I often see the rankings climb in the months after the links have been placed so that way you could rank with less links but it would take forever. Great article and information. I have been trying to learn more about PBNs. But the more I learn the more I get confused, It would be great if you could gives us tips and tricks to make our own PBN. And another question that intrigues me is that how much does a PBN cost? Your answer would be of great help. Thanks! That depends a lot of the quality and quantity of the PBN sites. A small one could cost $300-500, while big ones are worth 6 figures. Can you give an advise on digital niche monetizing? Does it make sense trying to work with Amazon? In the past we ranked a site for ‘laptop vs ipad’ but that didn’t convert very well at all so I would make my prime monetization Adsense and supplement it with Amazon text and image links on pages that review or talk about an actual product. Ranking for keywords with a high buyer intent is not so easy in digital niches, hence that you’re probably best off filling your prime advertising space with Adsense. Learn fast and then take what you have learned and apply it to that one site you want to focus on. As far as being mind focused there’s no better way than starting with 1 site. But as you said, the experience you gain every time you fail or you do another project also counts. As long as you keep learning and improving yourself from your experiences you’ll make it sooner or later. What I mean with one site at a time is build the site, start the link building campaign and once that’s scheduled/planned start with the second one. That instead of outsourcing content for 10 sites all at the same time and than schedule the link building for 10 sites at the same time. Link building is an ongoing effort so it makes no sense to do nothing else in the meanwhile of course. Personally I get lazy / sloppy when I have to repeat the same thing ten times while if I would work on one site for one month the site would be in much better shape and likely I would’ve spend more on content as well instead of getting it all as cheap as possible. I personally have a mixed feeling about PBN though. To create a successful PBN needs a completely separate skill set in it self from building Amazon affiliate sites. For most people to have PBN that Dennis or his client has, it would cost them thousands of dollars to set up then thousands of dollars to maintain. Aside from that though, if you have the money and skill to figure everything out, for sure a large profit awaits for you. But even a small PBN that could cost you let’s say, $500, could help you rank a couple sites that end up earning $500 per month in the long run, as long as you don’t get caught by the big G.
There’s always a risk in playing business that relies completely on a company, so it’s always good to diversify. PBN’s hardly ever go bust Tony, it’s most of the time the money site that tanks due to mistakes being made (spammy links, poor anchor diversity etc). Just the fact that say 80 sites all link to 1 affiliate site isn’t enough of a reason for Google to take down (deindex) those 80 sites, especially not when it’s hosted with 80 different companies. Sure that sounds like a lot of money, 80 sites, 80 hosts but Rome wasn’t build in one day either. Thank you so much for all the value you’re providing here man (and to Servando for hitting me up with that e-mail about this, too) – I truly appreciate it! I’ve e-mailed you about your coaching a couple of days ago using the contact form on your website, however I’m not sure if you still get those? …because I tried e-mailing [email protected] today but I’m getting a 550 error e-mail in return. Dennis answered the questions this morning but he’s on a trip right now in a country with low bandwidth internet. So if for some reason he can’t get back to you next week feel free to leave another comment in this post and I’ll tell him personally to check it. Thanks for your message, I fixed the broken link and replaced the non-existing email with a link to my contact form. I did receive your first email btw and did answer some people but it took like 5 retrys to send out a single email due to the slow internet so gave up after two or three emails. Now I’m going to read and respond to your mail though! So why can’t we just drive traffic to our niche sites with PPC, if we have good affiliate offers? Let’s assume good quality writing, etc., too. You used 10 Amazon site as bundle. Are they Micro Niche site? Yes each site covers one type of product like hair dryers or stand mixers, you name it. I need backlink formy coupon websites. But I couldn’t found more High PR website which relating to my Website. Any website or domain can be related to a coupon thing, honestly. You just need to be creative. This was a great post by Dennis. I can see how this strategy can generate passive income in ecommerce space. The main drawback I have with this strategy is that you can wake-up one morning just to find out that Google did an algo change that could potentially impact your earnings. I am not advising anyone not to pursue this avenue. I just want your other readers to realize the power of Google to make or break your business if you depend on them to generate revenue. That aside, I found the strategy very interesting. Definitely. That’s always the main problem of doing a business that relies a lot in one company (Google in this case) and the reason I advice to learn other traffic sources too. Servando,Great Article ! I noticed you don’t use adsense or do u? I don’t use Adsense in this website. That’s correct. but I do use it in some other niche sites and I won’t reveal them because that wouldn’t be a smart move.